A cataract is any cloudiness or opacity of the lens in the eye, which is normally crystal clear. There are many types of cataracts. Some cataracts are small and do not interfere with vision but there are other cataracts which are large and cause severe vision loss. 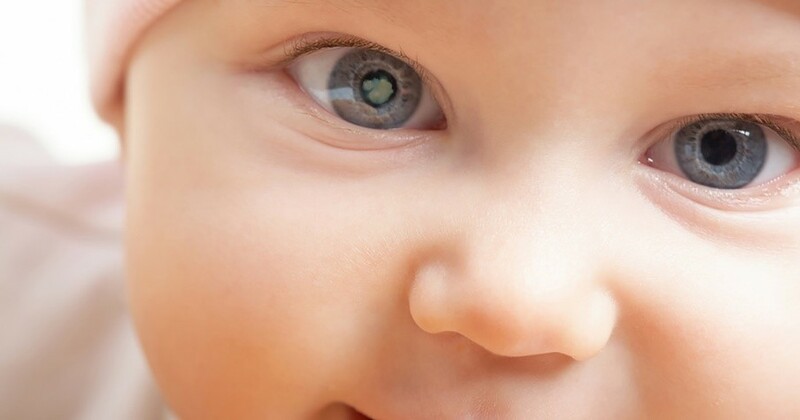 Why are some babies born with a cataract? Approximately 3 out of 10,0002 children have a cataract and the incidence is variable throughout the world. Congenital cataracts often occur because of abnormal lens development during pregnancy. Cataracts can result from genetic problems, infections, or they can occur spontaneously. Lens malformations that occur in conjunction with medical problems are often the result of a genetic or metabolic problem. These cataracts may be present at birth or may develop during childhood. Most childhood cataracts are isolated findings and are not associated with other abnormalities2. How does a cataract cause vision loss? Light enters the eye and is projected onto the retina (inner surface of the back of the eye) which senses the light and transmits the signal to the brain. A cataract may interfere with light reaching the retina and hence prevent the eye from seeing. In order for a child to develop good vision, the child has to have clear light projection on the retina for the brain to perceive a clear image. If there is a cataract blurring the light, it limits the child’s visual development and possibly results in amblyopia. Prompt and sometimes immediate treatment is necessary to prevent permanent vision loss. At what age should a cataract be removed from an infant or child? Cataracts that interfere with vision should be removed as soon as safely possible, especially if the cataract is present at birth. A delay in cataract removal can affect the normal development of the vision centre in the brain. Tiny cataracts that do not seem to disrupt vision may be carefully monitored, but should be removed at the earliest sign of a vision problem. Without early intervention, congenital cataracts can cause amblyopia or ‘lazy eye’. This condition can possibly lead to other eye problems such as strabismus (squint), nystagmus (repetitive, uncontrolled eye movements) and inability to fix a gaze upon objects. Such anomalies can profoundly impact learning ability, personality and even appearance, ultimately affecting a child's entire life. For these and many other reasons, it is necessary and important to have your child's eyes examined regularly and as soon as possible after your baby is born.